If you’re a writer, you probably know it has never been easier to share your works with the world. Thanks to the Internet and platforms like WordPress, you can easily create your writer’s website and reach your fans. But, before you do that, you will need a great WordPress theme for writers. One that puts your works front and center and makes it easy for your audience to spend hours on your site. 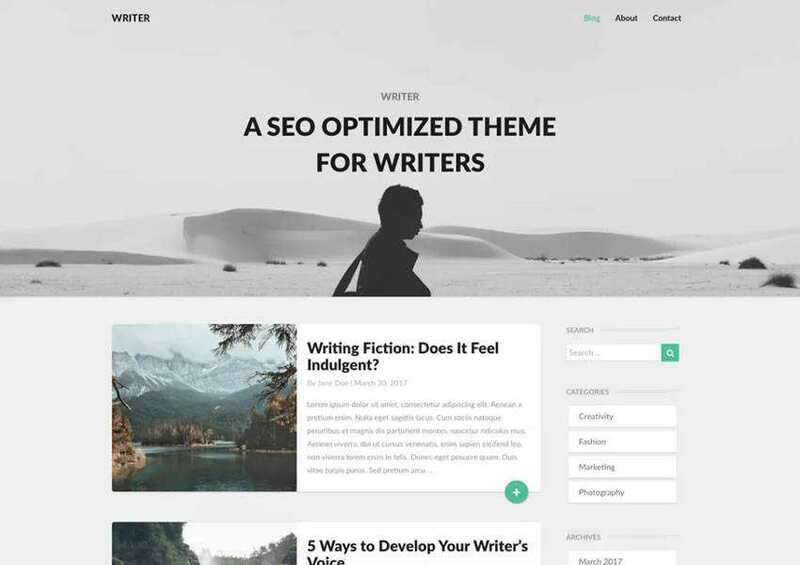 Luckily, there are plenty of free, quality WordPress themes designed with writers in mind and below, we’ve gathered the best of them. 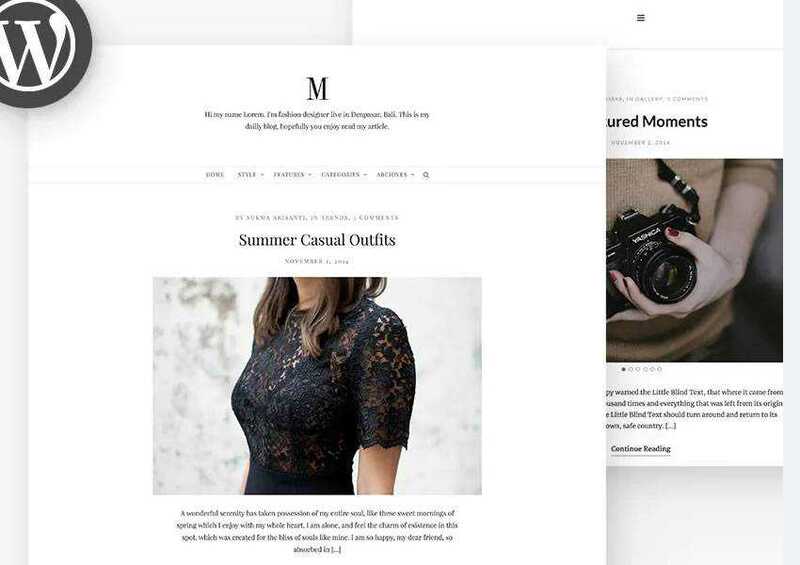 You might also like this collection of free minimal WordPress themes or this collection of personal blog themes. The Celsius theme has a white, minimal design and beautiful typography. It supports multiple post formats, slide-out navigation, comes with several widget areas, and bold featured images. 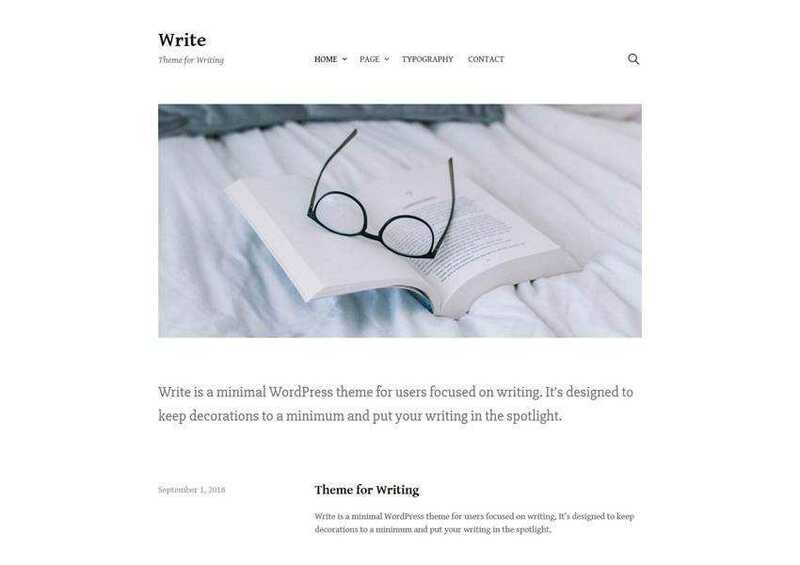 The Write theme is a clean WordPress theme for writers. It’s fully responsive and comes with several options for customizing your site and making this theme your own. You will find a number of different widget areas as well custom widgets, multilingual support, and several menu locations. 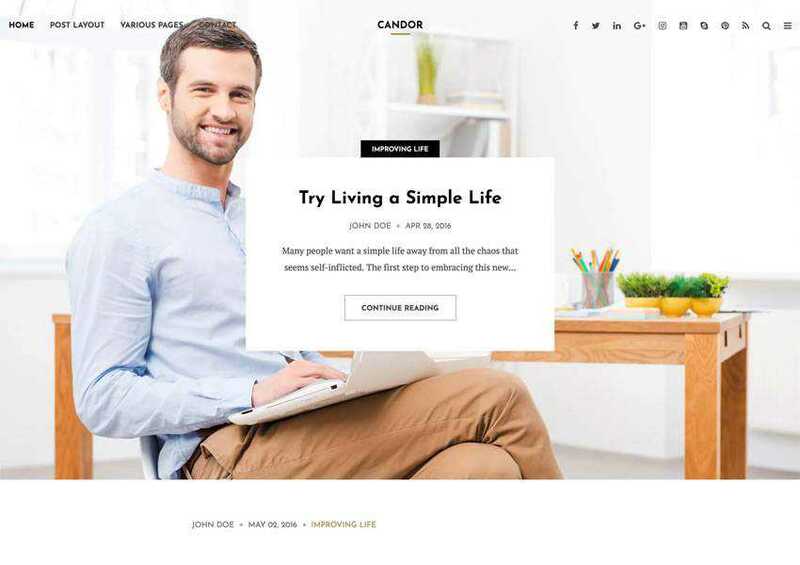 The Candor theme is yours for free when you sign up for Envato Elements subscription. The theme offers 4 different design variations for the blog page. It’s easy to customize thanks to Live Customizer. It’s also SEO optimized and comes with a number of custom widgets such as author profile and related posts. Dansal is a child theme for one of the default WordPress themes, Twenty Sixteen. This child theme was designed especially for bloggers and passionate writers. It’s fully responsive and focuses on providing your visitors with the best possible user experience across all devices. The Integer is a single-column theme with a minimal design. This makes it easier for your readers to focus on your content. It’s also responsive and supports various post type formats. 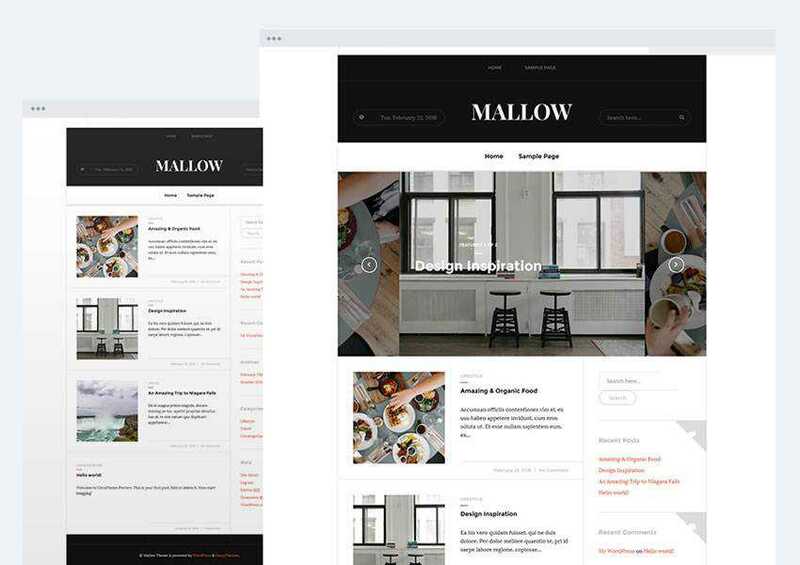 The Mallow is a classic and flexible theme that features a standard two-column design with bold typography and large featured images. It’s a great choice for an online magazine. The theme is easy to customize and fully responsive. 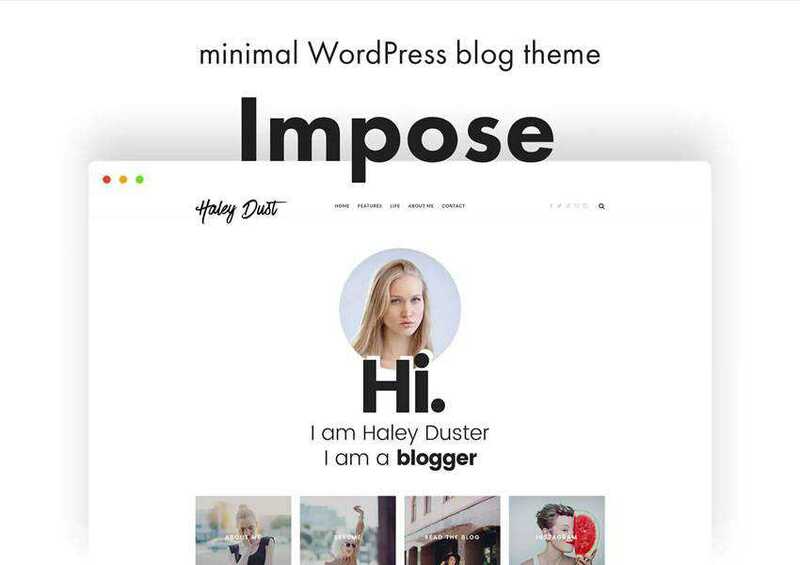 The Impose theme has a unique look and a minimal design. 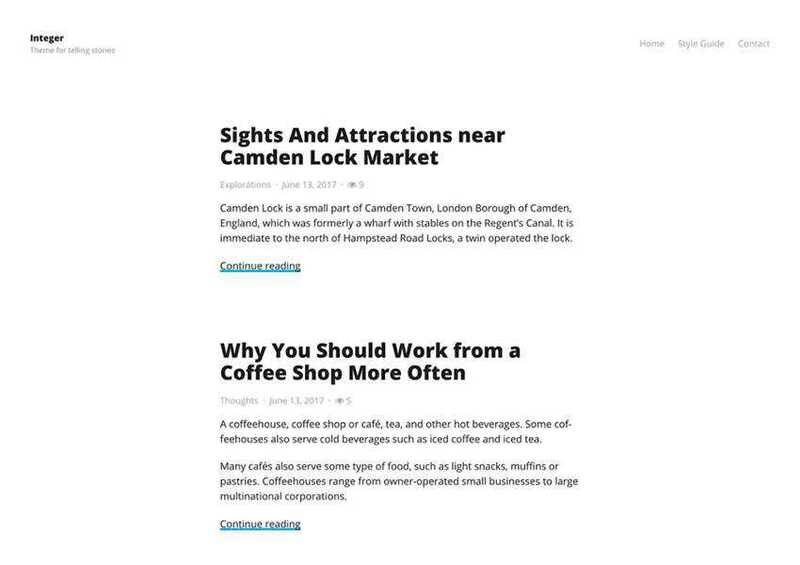 The homepage shows a very minimal list of posts and you can use featured page images to link to other pages on your site. 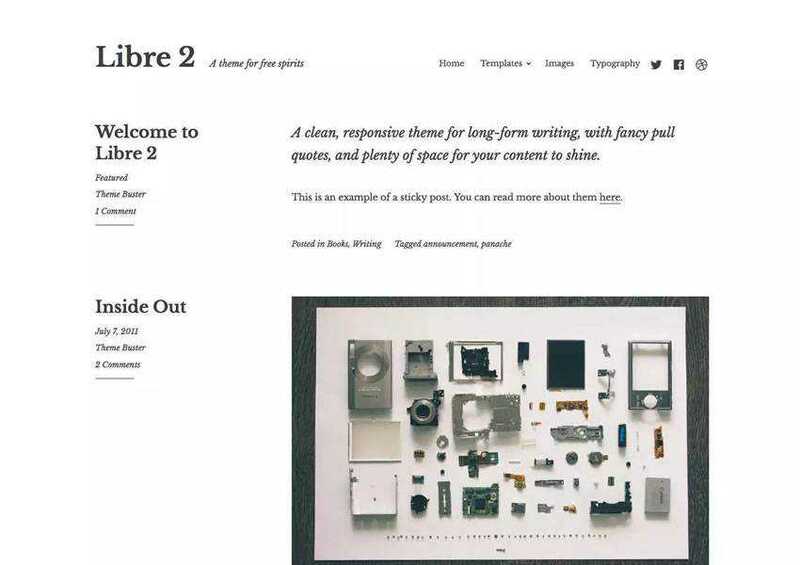 The Libre theme is perfect for longform posts. With a strong emphasis on typography and beautiful pull quotes, sharing your stories and other literary works with the world has never looked more elegant. 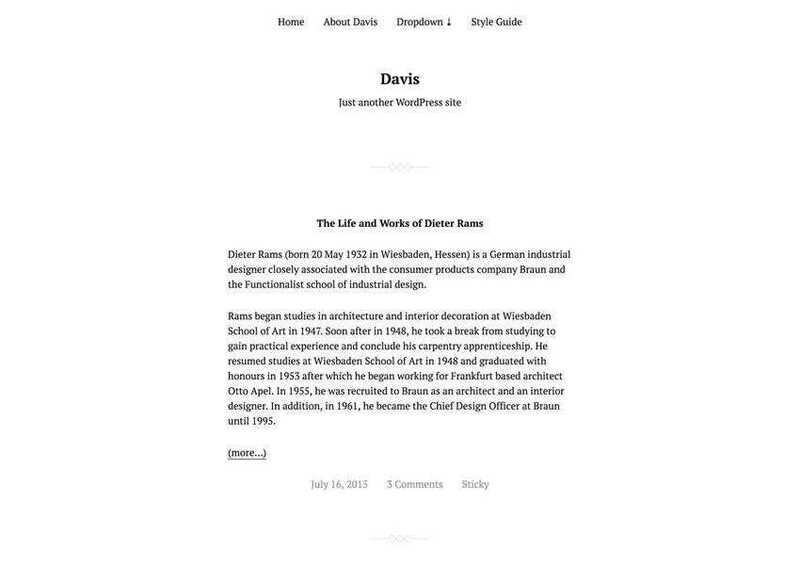 The Davis theme is another minimal theme for bloggers and writers. It’s very lightweight which means your website will load fast. On top of that, it comes with support for dark more and Gutenberg. 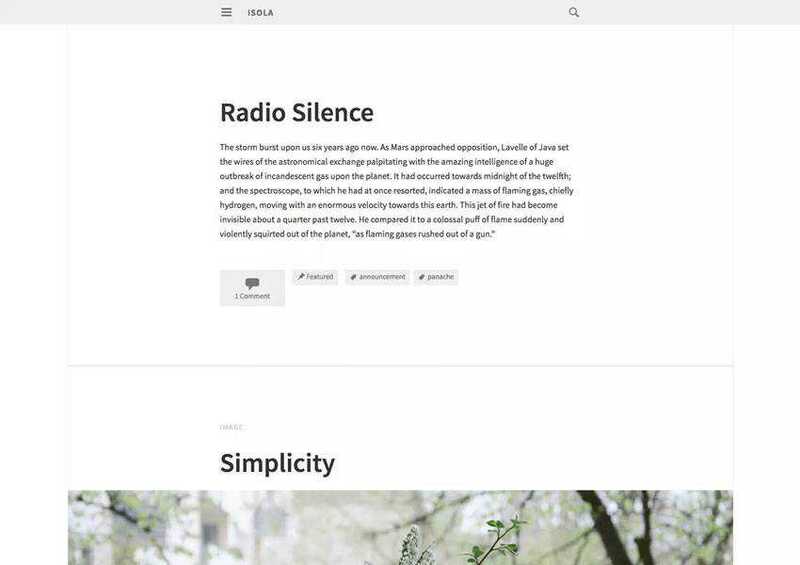 The Isola theme has plenty of whitespace that lets your content breathe and provides your visitors with a pleasant user experience. The theme can easily be customized using the Live Customizer and supports various post formats. 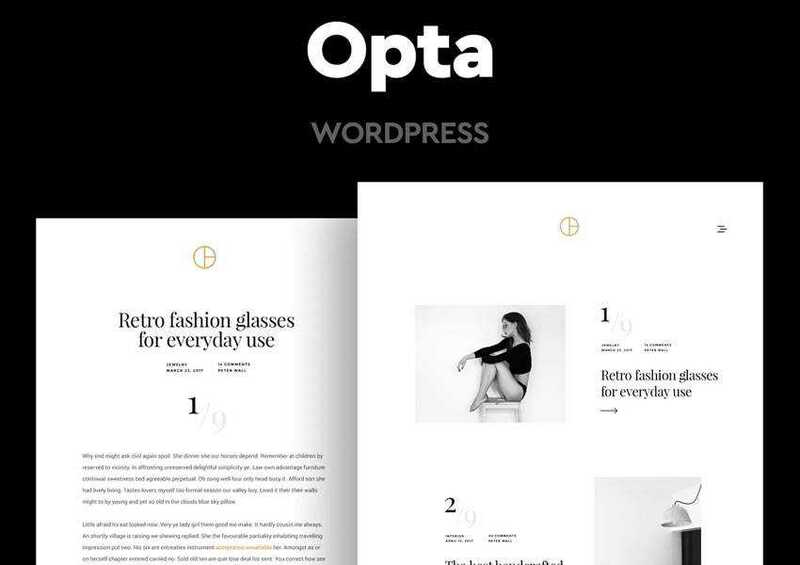 The Opta theme is perfect for writers as well as anyone else who wants a unique and minimal way of displaying their portfolio. The theme supports image carousel and is translation-ready. 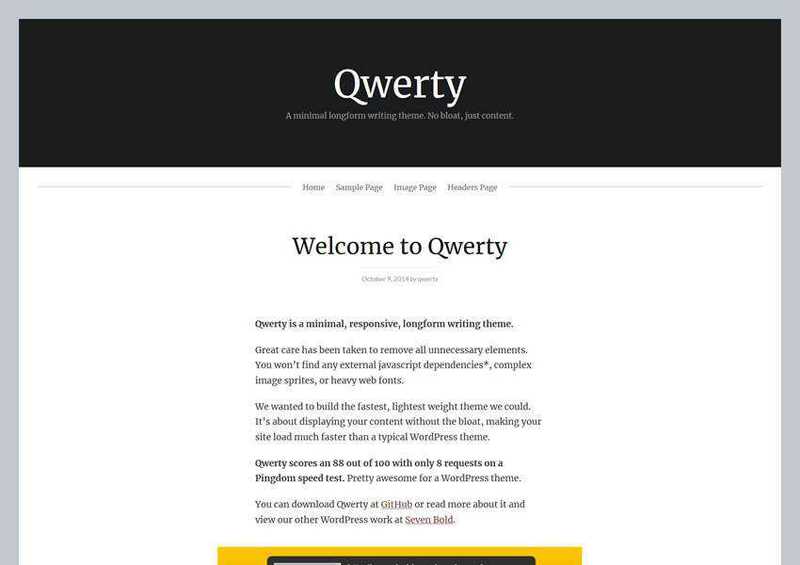 The Qwerty theme is another longform theme for writers, authors, and bloggers. The theme is responsive and has beautifully styled blockquotes which are sure to grab the attention of your readers. The Hew theme has a single-column layout and makes it easy to add a touch of your personality with a splash of color. 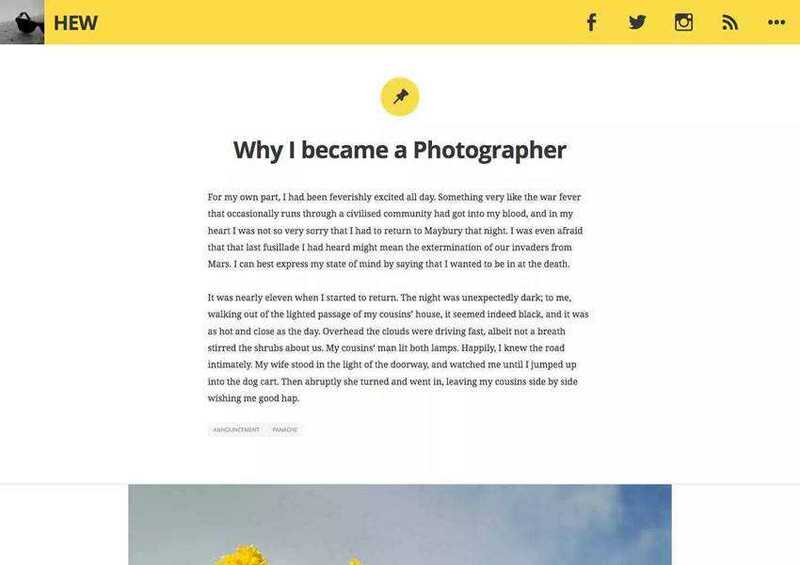 With support for a custom social links menu, custom widgets, and beautiful typography, this theme will help you share your stories and connect with your audience. 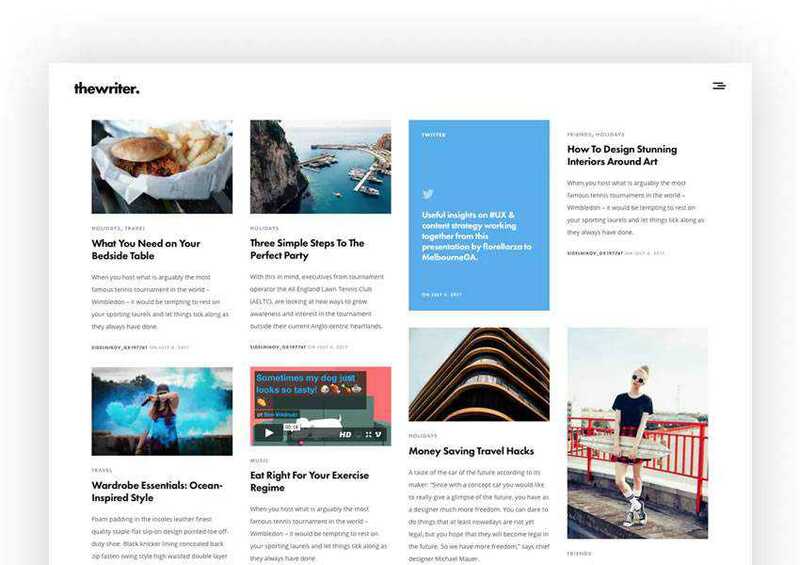 Try the Reyl Lite theme if you want to wow your readers with stunning animations and minimal design. The theme is fully responsive and translation-ready. The Minimy theme is focused on readability and strips away all the unnecessary distractions. The theme comes with 2 layout options, support for 2 Schema markups, and integrates perfectly with Google Fonts. 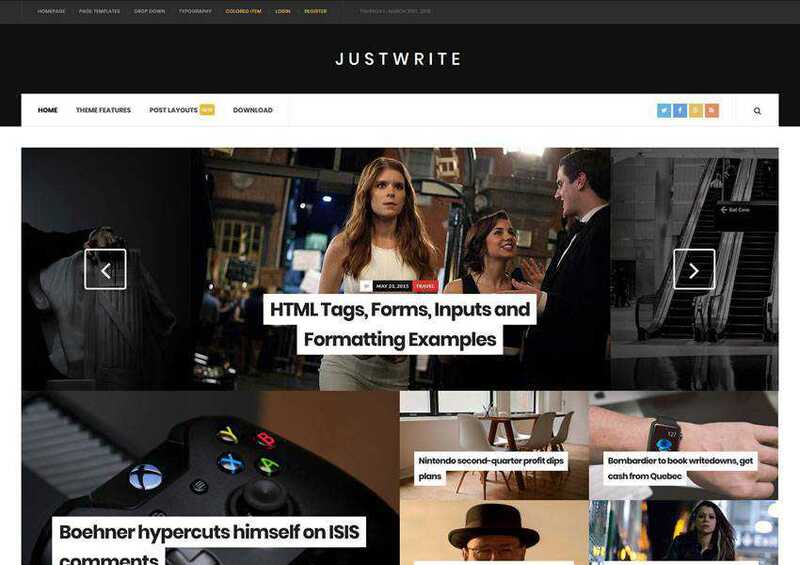 As the name suggests, JustWrite WordPress theme helps you to just write and share your stories. Thanks to stunning featured images, you will be able to draw your audience in. It comes with the ability to create your own homepage layout with custom sections, ad spots, and plenty of customization options. 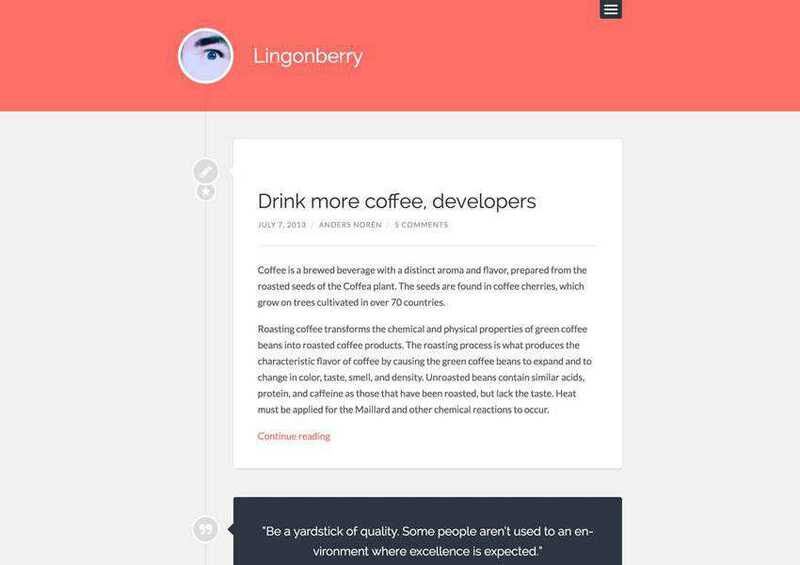 The Lingonberry theme features an elegant and responsive design. The theme displays your posts in a timeline fashion and it supports various post formats. It’s translation-ready and comes with full Gutenberg support. 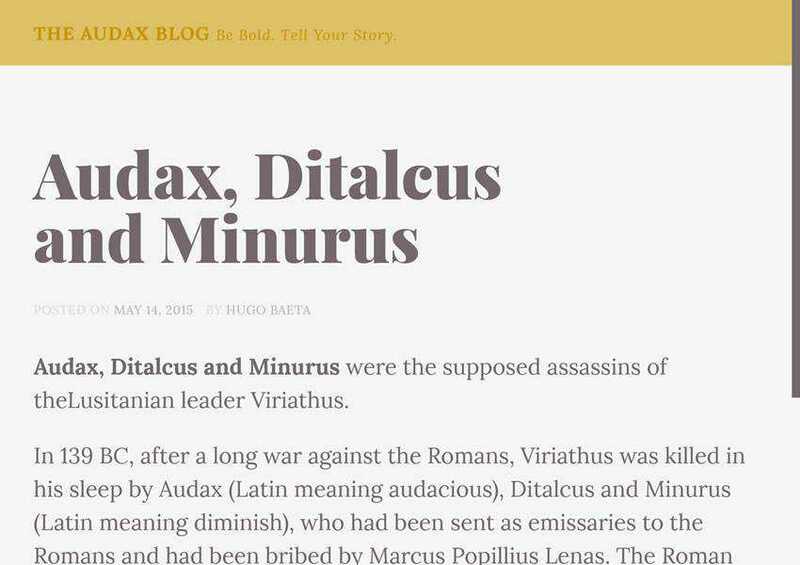 The Audax theme is clean and modern theme that’s perfect for sharing longform writing. It’s fully responsive, lightweight, and easy to use. You can customize the colors to add a touch of your personality. 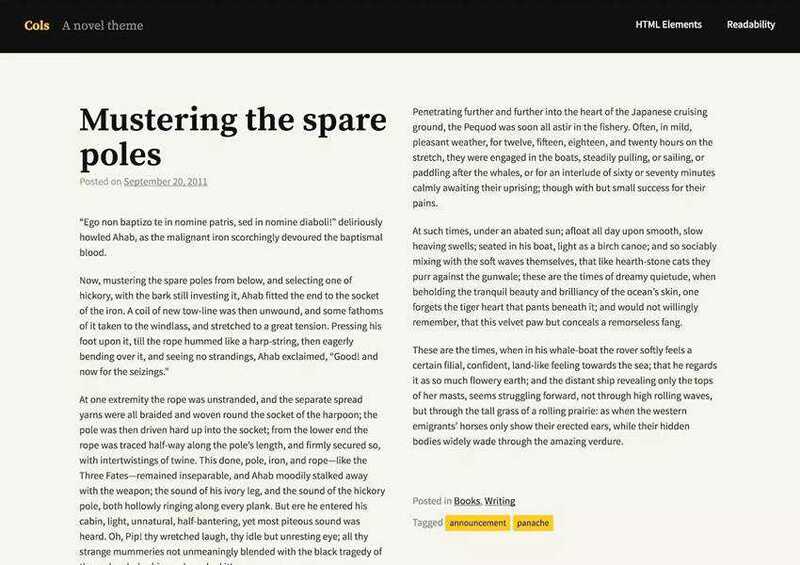 The Writer theme uses a grid layout similar to Pinterest. It’s perfect for writers, food bloggers or travel bloggers. You can easily customize every aspect of the theme thanks to the powerful theme admin panel. 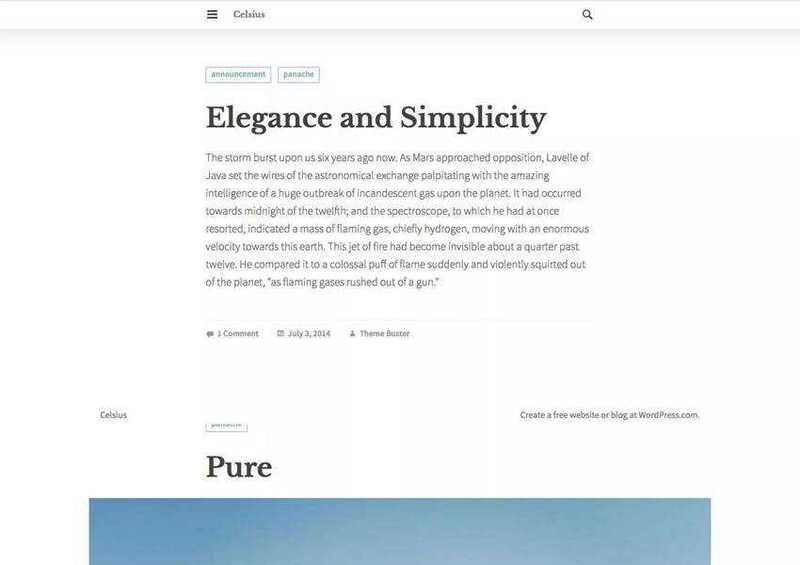 The Cols theme is a novel theme for WordPress that supports multiple post formats and uses a standard newspaper layout. The theme is easy to use, responsive, and easy to customize. 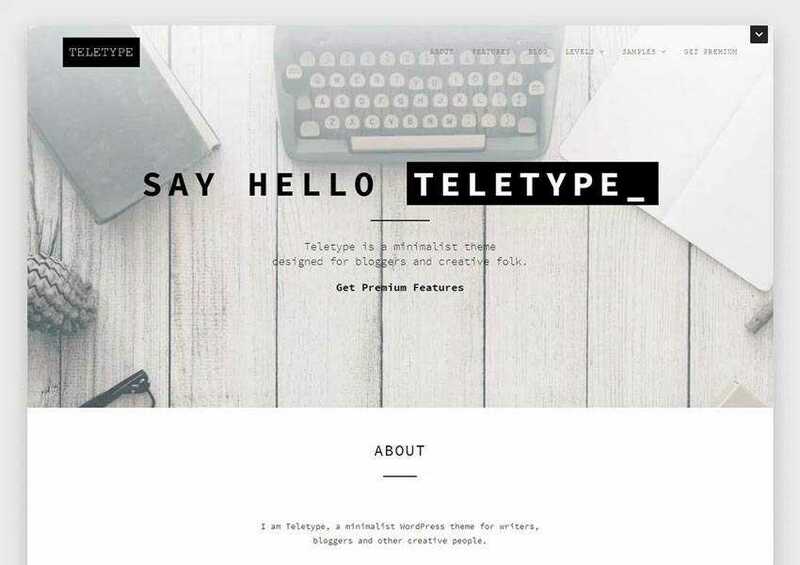 The Teletype is a minimalist blog theme, that offers advanced customization options and post layout masonry grid. It’s also fully responsive, has two menu locations, and comes with a custom front page. 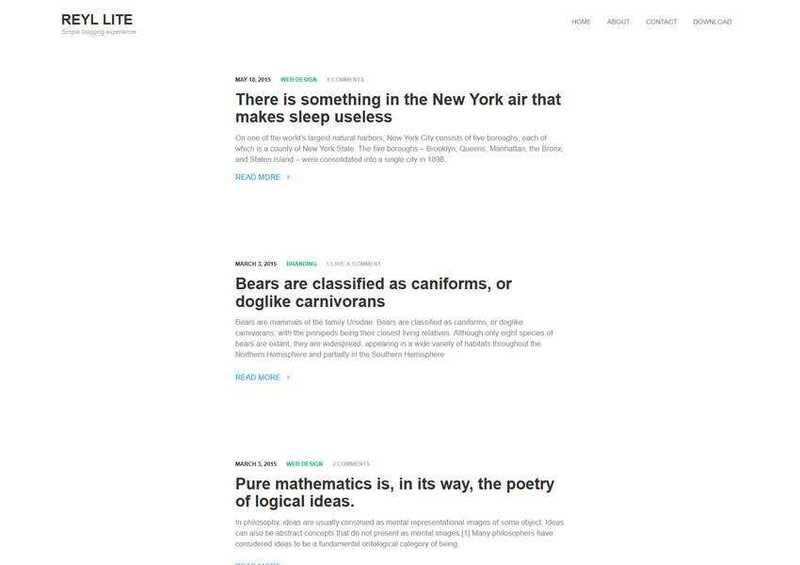 The Writers theme offers a minimalistic and modern design. The theme is simple and easy to set up and you will get SEO optimised and SEO friendly theme with beautiful typography and plenty of customization options. As you can see, there is no shortage of high-quality WordPress themes for writers. 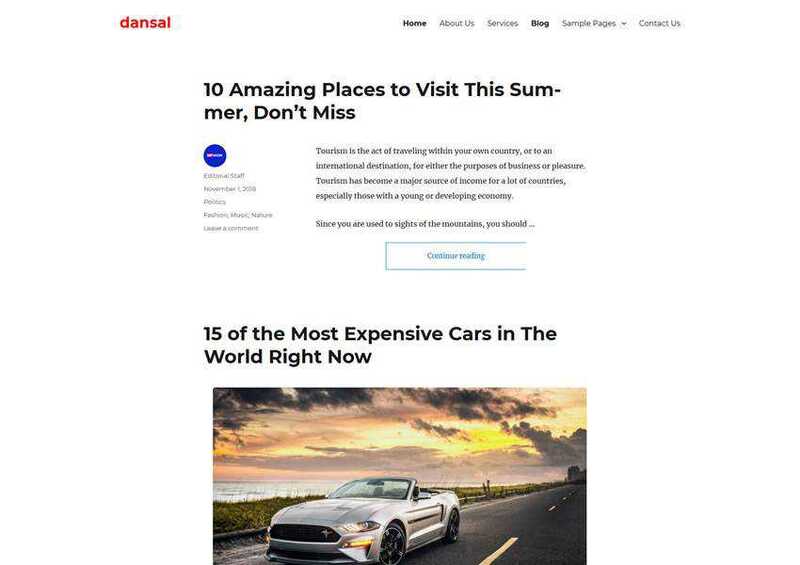 The best part about them is that they offer minimal design which puts your content front and center and improve the reading experience as they use elegant typography. They are also free to use so feel free to download them and try them out so you can see which one would be best suited for your writer’s website.